1. Cut bananas in halves and slice in the middle (you should have 20 slices). Place pastry on a clean working surface. Place a slice of banana and jackfruit then sprinkle with a little bit of sugar. Fold the pastry over the banana tightly to form a parcel, folding in the edges. Brush the pastry edges with water or a lightly beaten egg and press to seal. Sprinkle a little sugar on top. Repeat with the remaining pastry sheets, banana and jackfruit. 2. Heat oil in a large frying pan on medium-high heat. 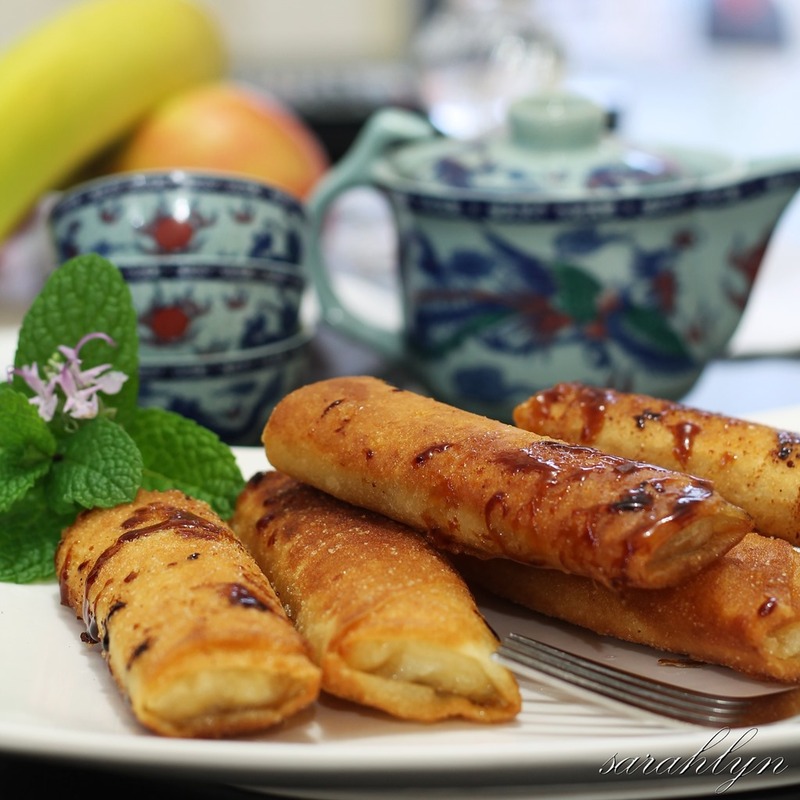 Cook the banana spring rolls for 2-3 minutes, both sides, until golden and the sugar is caramelized. Note: You can buy jackfruit in cans in Asian grocery stores and some supermarkets.